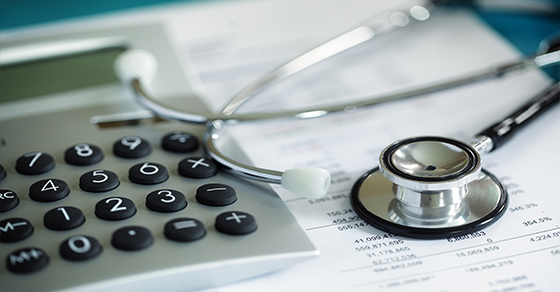 Some of your medical expenses may be tax deductible, but only if you itemize deductions and have enough expenses to exceed the applicable floor for deductibility. With proper planning, you may be able to time controllable medical expenses to your tax advantage. The Tax Cuts and Jobs Act (TCJA) could make bunching such expenses into 2018 beneficial for some taxpayers. At the same time, certain taxpayers who’ve benefited from the deduction in previous years might no longer benefit because of the TCJA’s increase to the standard deduction. Various limits apply to most tax deductions, and one type of limit is a “floor,” which means expenses are deductible only to the extent that they exceed that floor (typically a specific percentage of your income). One example is the medical expense deduction. Because it can be difficult to exceed the floor, a common strategy is to “bunch” deductible medical expenses into a particular year where possible. The TCJA reduced the floor for the medical expense deduction for 2017 and 2018 from 10% to 7.5%. So, it might be beneficial to bunch deductible medical expenses into 2018. Medical expenses that aren’t reimbursable by insurance or paid through a tax-advantaged account (such as a Health Savings Account or Flexible Spending Account) may be deductible. However, if your total itemized deductions won’t exceed your standard deduction, bunching medical expenses into 2018 won’t save tax. The TCJA nearly doubled the standard deduction. For 2018, it’s $12,000 for singles and married couples filing separately, $18,000 for heads of households, and $24,000 for married couples filing jointly. If your total itemized deductions for 2018 will exceed your standard deduction, bunching nonurgent medical procedures and other controllable expenses into 2018 may allow you to exceed the applicable floor and benefit from the medical expense deduction. Controllable expenses might include prescription drugs, eyeglasses and contact lenses, hearing aids, dental work, and elective surgery. Keep in mind that legislation could be signed into law that extends the 7.5% threshold for 2019 and even beyond.